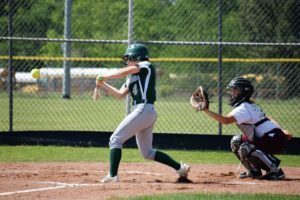 LOVELADY – The Neches Lady Tigers scored four runs in the first inning and two in the seventh to hold off the Lovelady Lady Lions, 6-4, and tightened things up in the playoff race. 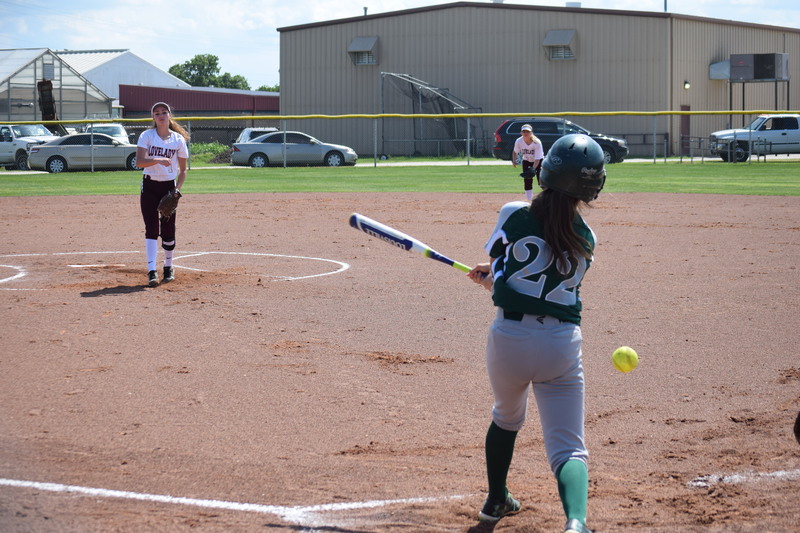 Neches started the game off strong as they plated four runs off of Makayla White in the top of the first inning. Hannah Lovelady led things off for Neches with a single to center and moved to second on a single from Sheridan Andrews. Lovelady and Andrews advanced to third and second on a passed ball and Lovelady crossed the plate on a Josey Sumpter double. Andrews was held at third but scored four pitches later on a Jayci Mannix liner to center to make the score 2-0 in favor of the Lady Tigers. On the hit, Sumpter took third. White appeared to settle down and struck out the next two batters she faced. A double steal allowed Sumpter to cross the dish while Mannix wound up at third. She scored on Gracey Carroll’s Texa s leaguer to center to make the score 4-0 before White notched her third K of the inning. Trailing 4-0, the Lady Lions got two runs back in the bottom of the first. Sydney Price drew a lead-off walk from Sumpter, who was in the pitcher’s circle for Neches and promptly stole second. A wild pitch allowed Price to move to third and a passed ball gave her a green light to head home with Lovelady’s first run of the game. Tea Soberano drew a second walk off of Sumpter and just like Price, she stole second. Allison Hay fouled out, but a second wild pitch from Sumpter allowed Soberano to move to third. She came around to score on MaLanta Wiley’s shot to right and just like that, the score was 4-2. Sumpter found herself in a jam after she hit Kaiden LeMaire with a pitch but managed to work her way out of trouble and kept the Neches lead at two after one. Both White and Sumpter held their opposition at bay for the second, third and fourth innings but the Lady Lions managed to break through for a run in the bottom of the fifth. After Price tapped back to Sumpter for the inning’s first out, Soberano drew another walk and moved to second on Hay’s grounder through the infield. Wiley was up next and sacrificed Soberano to third and Hay to second. With two outs, Hana Walsh misplayed Hannah York’s grounder which allowed Soberano to scamper home to make the score 4-3. Hay took third on the play but was stranded after Sumpter coaxed a ground out from Sydney Shoemaker. White retired the side in order in the sixth and while Lovelady threatened to tie things up, Sumpter worked her way out of yet another jam to keep Neches ahead by one. In the top of the seventh, White walked the first batter she faced but when Lovelady hit into a fielder’s choice, the Lady Lions had erased the lead baserunner. After Andrews popped out, Sumpter came to the plate with two away. On the first pitch she saw, Sumpter turned on the ball and deposited it over the fence in centerfield for a two-run HR which made the score 6-3. The homer appeared to rattle the Lovelady defense, however, White regained her composure long enough to strike out Carroll and end the Neches half of the inning. The Lady Lions managed to cut into the lead once again when Wiley scored on a ground out from York but it was not enough as the Lady Tigers held on for the 6-4 win. Sumpter picked up the win by going seven innings, allowing four runs on seven hits, striking out six and walking three. White was saddled with the loss after she went the distance, yielded 10 hits, gave up six runs, struck out seven and walked one. At the plate, Neches was led by Sumpter who was 2-4, with three RBI and a HR. For Lovelady, Wiley was 2-4 with a run scored and a RBI.